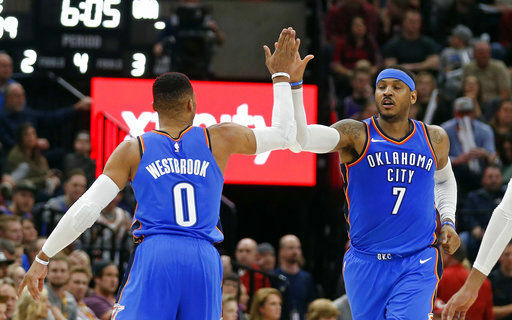 SALT LAKE CITY (AP) — The Oklahoma City Thunder got the kind of night they envisioned when they brought in Paul George and Carmelo Anthony to join reigning MVP Russell Westbrook. “We’re just finding it,” Anthony said. “Everybody’s doing what they’re supposed to do. Everybody’s playing their game. We’re not playing as tense and thinking so much out there on the basketball court as we were a couple weeks ago. The flow of the game is starting to become better and better for everybody. Guys are starting to be comfortable with what’s being asked of them and kind of just accepting it. 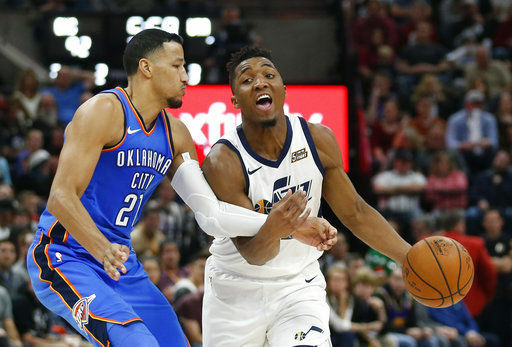 The Thunder controlled the game most of the night and weren’t threatened after a spurt by George and Westbrook that pushed their lead to 13 in the third quarter. Westbrook’s pull-up jumper was lethal, and back-to-back 3-pointers by George seemed to take all the energy from Utah. The Jazz never got closer than nine points the rest of the way. “They take you out of your offense,” Mitchell said. “They’re aggressive. As you saw, I made a few passes that, against certain teams, are open. But when you have guys who are long and athletic and quick, those passes aren’t there. Jazz: Raul Neto missed his seventh straight game with a concussion. 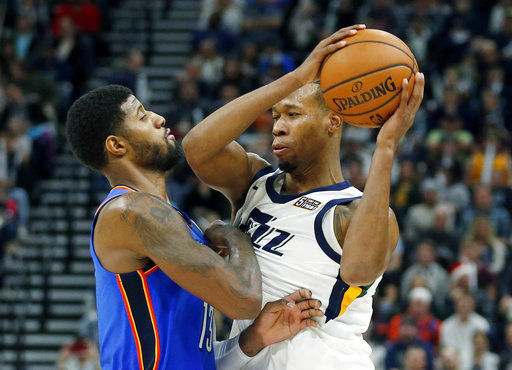 … Rodney Hood started the game 0 for 7 and finished with nine points after scoring 29 on Thursday. “I still think we’re going to continue to grow and get better,” Donovan said. “These guys are working hard to try to figure it out. They’ve all played a certain way for their entire careers, and they all have to adjust because when you play, you’re playing inside of a team. It requires adjusting. And sometimes those adjustments are hard.